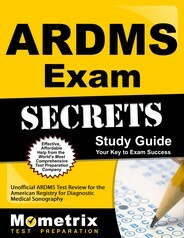 The American Registry for Diagnostic Medical Sonography (ARDMS) administers the Pediatric Echocardiography (PE) specialty examination to certify ultrasound professionals as Registered Diagnostic Cardiac Sonographers (RDCS). The PE exam consists of 150 multiple-choice and video case questions covering the anatomy, physiology, and sonographic evaluation techniques of the pediatric heart. Examinees are given three hours to complete the test. Exam takers must successfully pass both the Pediatric Echocardiography specialty and Sonography Principles & Instrumentation (SPI) exams within five years of one another to earn the specialty credential. The two exams can be taken in any order. The PE specialty exam is graded on a percentage scale, with some topics given greater weight in the overall score than others. Questions are based on applied knowledge of cardiac anatomy, physiology, pathology, disease, and the instrumentation and evaluation techniques appropriate in pediatric cases. PE specialty exam candidates can take advantage of many online test preparation resources, including practice exams, sample questions, content outlines, and study guides. Several print-based publishers also offer exam-prep manuals with tips on effective test-taking strategies. Applying to take the Pediatric Echocardiography specialty examination is a multistep process. To qualify, candidates must submit to the ARDMS proof of education; verification of clinical experience; transcripts and licenses; and letters from a supervising physician, technologist, or program director. After completing the Pediatric Echocardiography specialty exam, examinees will have immediate online access to their test results. 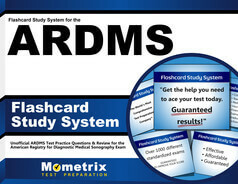 The test is scored on a scale from 300 to 700; a score of 555 or above is a passing grade. Candidates who do not pass the exam must wait a minimum of 72 hours to reapply and 60 days to retest.